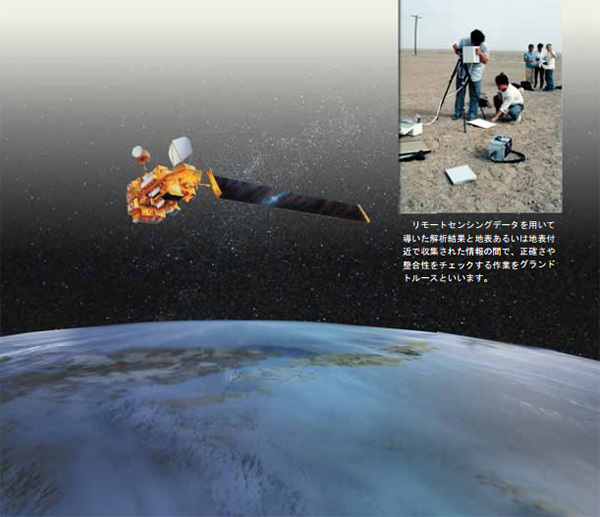 International Cooperation takes one of the important roles of RSSJ (Remote Sensing Society of Japan). The objectives of the RSSJ International Committee are : extending the activity of RSSJ from national to international levels, by presenting up-to-date research results, exchanging opinions and ideas, developing joint projects, and collaborating with researchers in other countries. RSSJ exchanged Memorandum of Understanding (MOU) with Korean Remote Sensing Society (KRSS) in 2002, and with Chinese Society of Photogrammetry and Remote Sensing (CSPRS) in 2005. The purpose is to encourage and exchange young researchers of future to present their works in various conferences, symposia, and workshops organized by or supported by RSSJ, KRSS, and CSPRS. In addition, representatives from each society participate in these meetings to exchange ideas of present and future collaborations. Financial support is made for young researchers selected by RSSJ to attend the conferences of KRSS and CSPRS. The exchange scheme started in 2004, and to date, two representatives from KRSS attended each RSSJ spring conference, many young researchers presented papers, and from the RSSJ side, 7 young researchers made presentations at KRSS conferences with several RSSJ representatives attended. In future, we should like to send more representatives to KRSS conferences on a regular basis. As to the international collaboration with CSPRS, we received several young researchers and representatives from CSPRS, but no young researchers from RSSJ to CSPRS. This is mainly because CSPRS does not hold yearly official conference. However, CSPRS supports Annual Conference in Surveying and Geoinformatics. In future, we should strengthen the relationship with CSPRS through this conference. Another possibility has been sought to hold annual or biannual international conference organized by our three societies, although there exist some problems currently under discussion such as limited number of expected attendances and presenting in English language. In the long term, further extension of international cooperation may be considered with societies in the Pacific Rim countries, including, for example, Singapore, Australia, and Thailand. Please also visit the KSRS and CSPRS home pages.